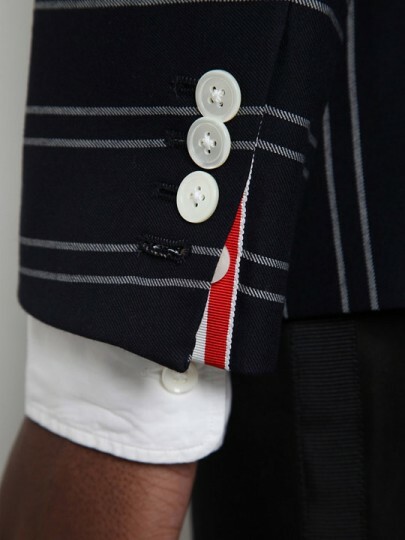 The Thom Browne Spring/Summer 2012 collection features a lot of eclectic fashion choices, this seasons collection features one piece in particular that caught our eye, the Mixed Pinstripe Blazer. 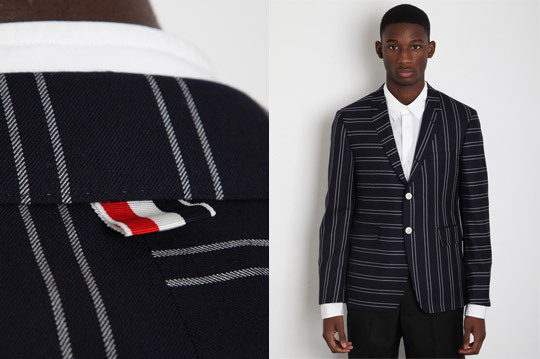 As evident in the name, the blazer features a pinstripe design in various but structured lines. 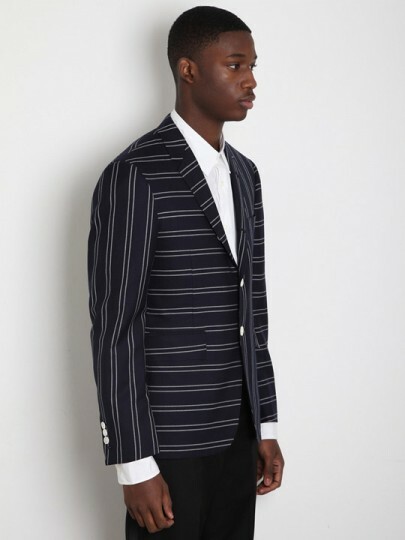 After looking at the garment with a keen eye, the various pinstripe direction works because the blazer still has shape and is fitted on the waist making the pinstripes curve to the structure of the blazer and the wearer. 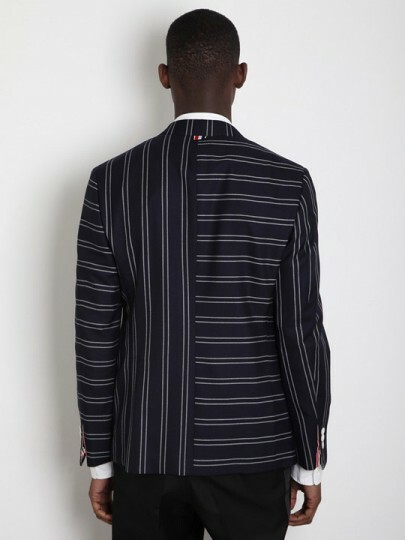 Made with 100% wool with high fastening, pearlescent buttons and the trademark Thom Browne tab the Mixed Stripe Blazer may not be for everyone but it sure is interesting. 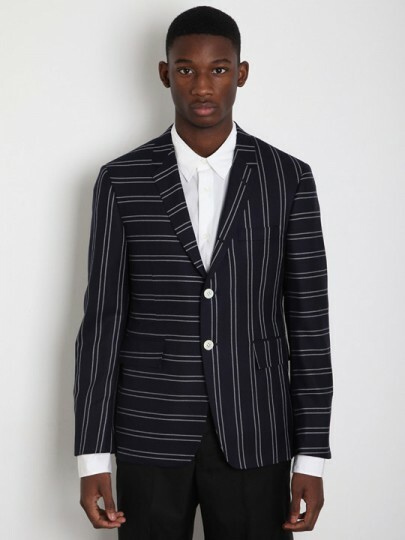 This entry was posted in Blazers and tagged 2012, blazer, Mixed Pinstripe Blazer, Mixed Stripe Blazer, Spring, Spring/Summer, Spring/Summer 2012, Summer, Thom Browne, Thom Browne Spring Summer. Bookmark the permalink.